Local Grand Rapids prevention coordinator Angel Rodriguez once invited me to talk with his middle and high school students enrolled in the Yo Puedo Latino youth program. 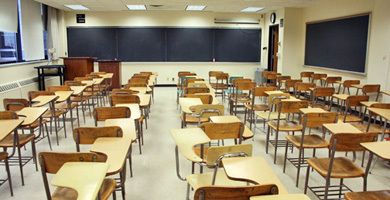 At one point in the conversation, the students were enlightened by the fact that in 2050, non-Anglo populations will become the majority of people in the U.S. Angel was quick to remind the students that true empowerment can only be achieved by taking advantage of opportunities afforded through education. He is right. This should be of great concern for businesses because our demographic and socioeconomic futures are intertwined. As we know, in a free market society, we rely upon the purchasing of goods and services to sustain our economic future. What may this future resemble if Latino (and African-American) youth continue lack educational and ultimately financial empowerment in the future? What will this mean for those of us in marketing too, knowing that we also rely on the prosperity of goods and services? In his book Hispanic Marketing: A Cultural Perspective, Felipe Korzenny writes, “Good Hispanic marketing seeks to enhance the lives of consumers.” What can we do to ensure our future is what we want it to be? Hi, thank you for your post, it helped me a lot figuring out many things. Inafmrotion is power and now I’m a ! @#$ing dictator.